Mayor of Kunming, Yunnan Province, China, the Hon. Qiu He receives Li Guodong’s calligraphy. 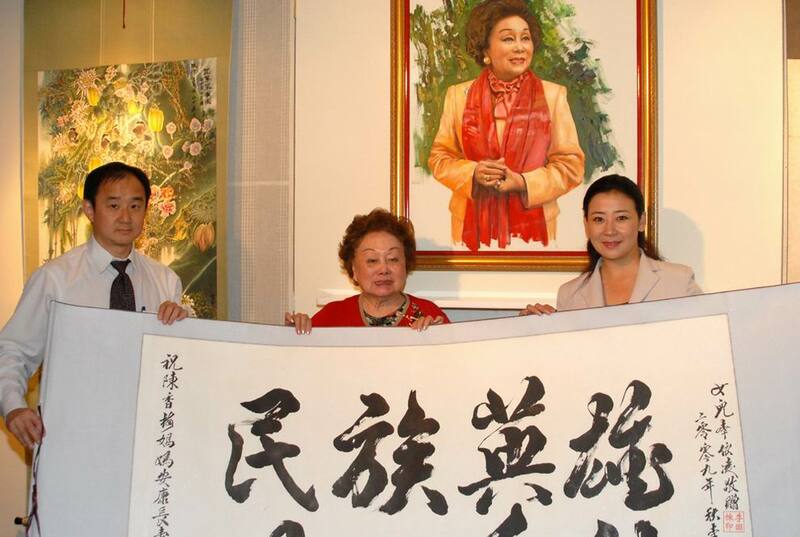 Famous social activist Anna Chennault collects Li Guodong’s calligraphic work. At the Women United for Charity Fundraiser held at the China Mission to the UN on April 8th, 2011. Prof. Li Guodong’s calligraphy Great Love without Border (aka. Boundless Love) was donated for auction. It was sold for $5,000 dollars, the highest bid from among the items donated by various countries. Pictured here are Mrs. Ban Ki-Moon (5th from right) and Madame Lu Hailin, wife of Ambassador Li Baodong, Chinese Permanent Representative to the UN, (5th from left). 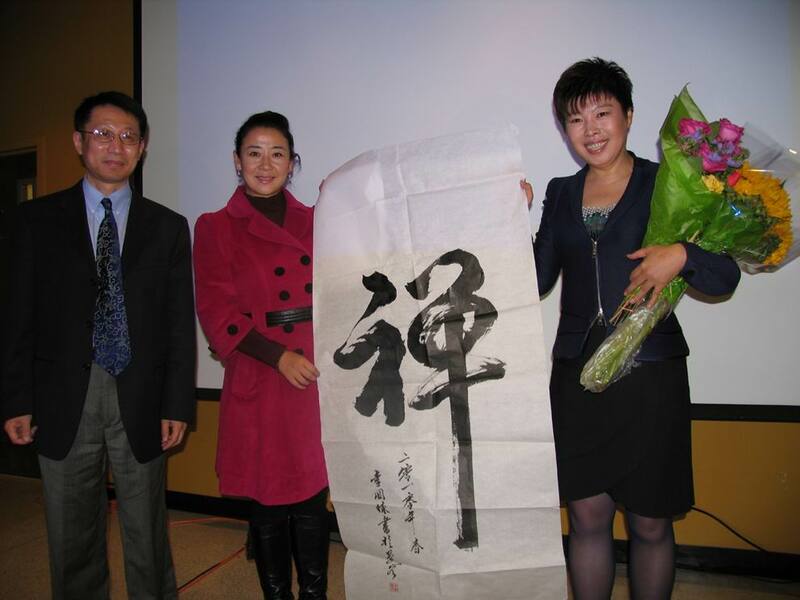 Li Guodong presents his calligraphic work “Boundless Love” to the Chinese Mission to UN. The Hon. Li Baodong, Permanent Representative of China to UN and his wife Madame Lu Hailin receive a calligraphic work of Prof. Li Guodong, “Leading Diplomat”. Gordon Johnson, Assemblyman of New Jersey, USA, collects Li Guodong’s calligraphic work “Longevity”. 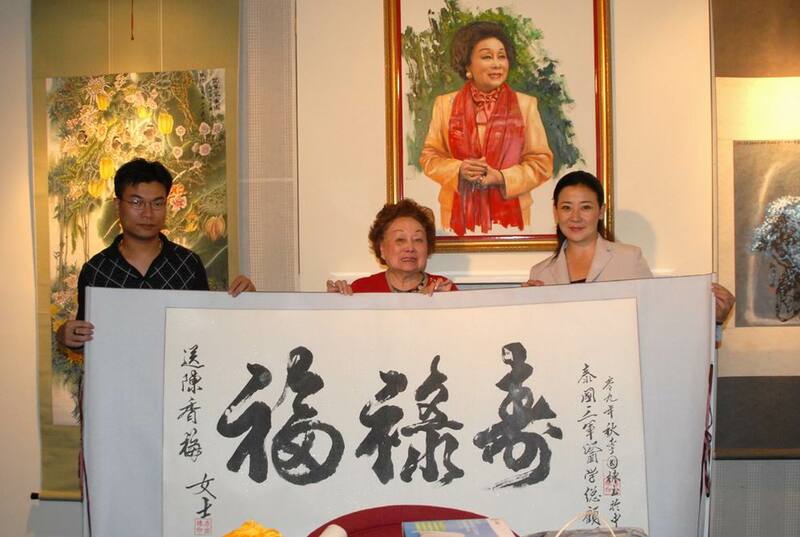 A mayor from New Jersey, USA displays Li Guodong’s calligraphic work he collects. 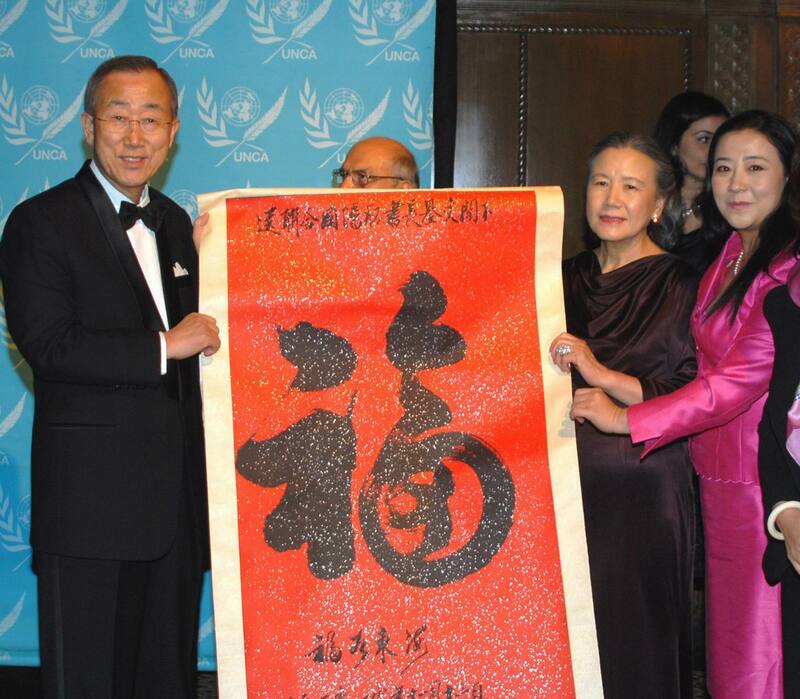 Prof. Li Guogong's calligraphic work is presented to UN Secretary-General Ban Ki-Moon. Li Guodong’s Calligraphy Exhibition is held at UN Headquarters from April 20th to 29th, 2011 and attracts countless viewers from different nations to view it. Consul General of China in New York, Peng Keyu views Li Guodong’s calligraphic work and poses with Li’s daughter Li Yiling. Deputy General Secretary of UN, Kiyo Akasaka views with great interest of Li Guodong’s calligraphic work. Chinese scholar Yu Dan collects Li Guodong’s calligraphic work “Meditation”.